Superintendent of Schools Tim Conway was on cloud nine Tuesday night after the results of a $38.9 million referendum were announced. By a 110 vote margin, residents approved the proposition. The tally, 635 yes votes to 525 no ballots. Conway, who ea… Please login below or purchase a subscription to the Putnam County Courier to access this content. Two teenaged girls who lost consciousness and stopped breathing inside the Putnam Correctional Facility from heroin abuse were revived by jail staff who administered a nasal spray antidote for opioid overdoses. The Putnam Sheriff’s Department … Please login below or purchase a subscription to the Putnam County Courier to access this content. 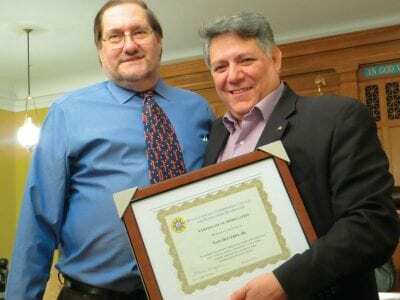 Legislator Sam Oliverio is presented with a certificate of appreciation from Steve Unger of Southeast, chairman of the Council for People with Disabilities, last week. Putnam Legislator Sam Oliverio has described his 18 year tenure on the county legi… Please login below or purchase a subscription to the Putnam County Courier to access this content. Assemblyman Steve Katz gives an impassioned talk against the SAFE Act. Carmel’s Paladin Center was packed when more than 200 gun aficionados met last week to discuss New York’s Secure Ammunition and Firearms Enforcement (SAFE) Act and its… Please login below or purchase a subscription to the Putnam County Courier to access this content. The scruffy staff at CHS prior to their shaving for the first time in a month last week. 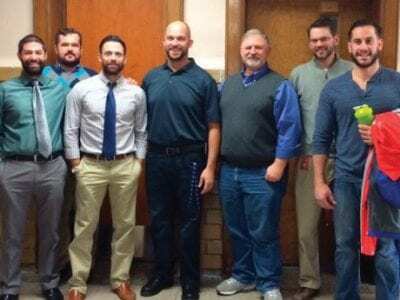 Fifteen teachers and administrators at Carmel High School took well deserved shaves last week following a month-long respite from the razor. The educational prof… Please login below or purchase a subscription to the Putnam County Courier to access this content. Members of the CHS Spanish Club are well represented with their advisor Karin Brenner. 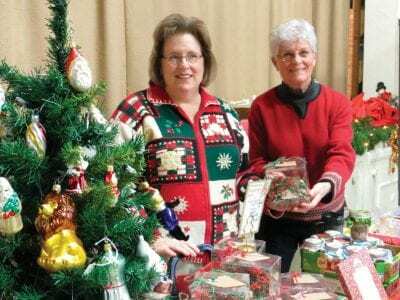 The tradition continued Sunday at Carmel High School when for the 35th consecutive year, students and staff opened their school for an old-fashioned holiday get-to… Please login below or purchase a subscription to the Putnam County Courier to access this content. 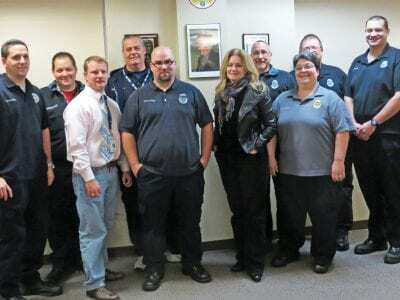 Putnam’s 9-1-1 dispatchers are wished a Happy Holiday by County Executive MaryEllen Odell. Commissioner of Emergency Services Adam Stiebeling and Deputy Commissioner Robert Lipton look on. Staff at the Putnam Bureau of Emergency Services 9-1-1 … Please login below or purchase a subscription to the Putnam County Courier to access this content. 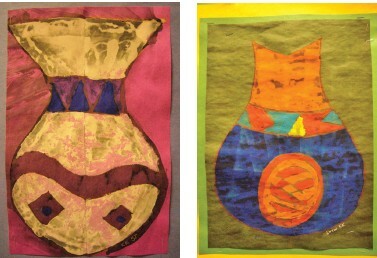 Tempera Batiks by Kayleigh Kraus, left, and Drew Quesenberry, right. Fifth grade students from Fulmar Road Elementary School created colorful paintings inspired by the distinctive pottery of the Native America tribes of the Southwest. Their work, whi… Please login below or purchase a subscription to the Putnam County Courier to access this content. A presentation on “Traveling Route 6” will be Saturday, January 31, at 1 PM at Patterson Library. 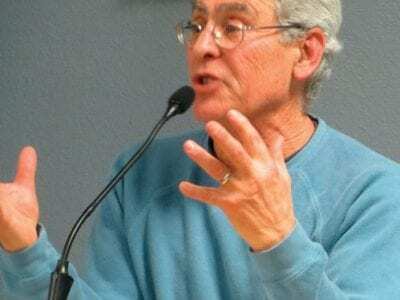 In short, travel Route 6 from Cape Cod to California with author Joe Hurley. Hear fascinating stories and see riveting pictures of the peop… Please login below or purchase a subscription to the Putnam County Courier to access this content.